This region is famous for its’ wines, cava (Spanish champagne) and olives. There are the beautiful beaches of the Costa Daurada, market towns, monasteries, lakes, fishing, castles and national parks. The wooden bungalows (chalet style) have covered patio and garden furniture and a barbeque. the properties are situated a good distance from each other on a partially enclosed site. The holiday homes each have a fenced property (approx. 300m2) and a private terrace. The beach and centre are at max. 3km. from the holiday homes. Miami Playa has a range of different shops, bars, cafes, terraces and restaurants. Besides the water-sports facilities and other sports it is worth mentioning the presence of the beautiful 18-hole Bonmont golf course. Some possible excursions: the theme park Port Aventura (25 km. ), the Delta de l Ebre natural park (60 km.). Tarragona (35 km.). Barcelona (130 km.). Distance to Reus airport is about 30 km. The bedrooms and bathroom in a holiday home with 2 levels are on the superior level. Featuring a striking painted façade, it is located in the city’s picturesque old town. Each air-conditioned studio and apartment has modern décor and features some of the building’s original features, including beamed ceilings and exposed stone walls. There is either a kitchenette or kitchen with a fridge, microwave and dishwasher. Staff at the 24-hour front desk can provide information on Tarragona’s attractions, including the Roman Amphitheatre and Forum, less than 1 km away. The nearest beach is a 15-minute walk from the Apartaments Urbis. The surrounding old town has a selection of shops, bars and restaurants. Tarragona Railway Station is just over 1 km from the apartments. Average size for a hotel room in Tarragona is 20 m², apartments at Apartaments Urbis begin at 30 m²! Holiday Home Cos Del Bou Tarragona is a self-catering accommodation located in Tarragona. The property is 500 m from Palacio de Congresos and 300 m from Roman Amphitheatre. The apartment will provide you with tv and air conditioning. The kitchen comes with a microwave, the bathroom with a shower. The living room/bedroom offers two beds and accommodates four people. Extras include a washing machine. If you feel like visiting the surroundings, check out Marina Tarragona (1.0 km) and Railway Station Salou (700 m).El Prat Airport, Barcelona is located 72 km from the property. The accommodation is within a few meters of a beach. Average size for a hotel room in Tarragona is 20 m², apartments at Holiday Home Cos Del Bou Tarragona begin at 45 m²! 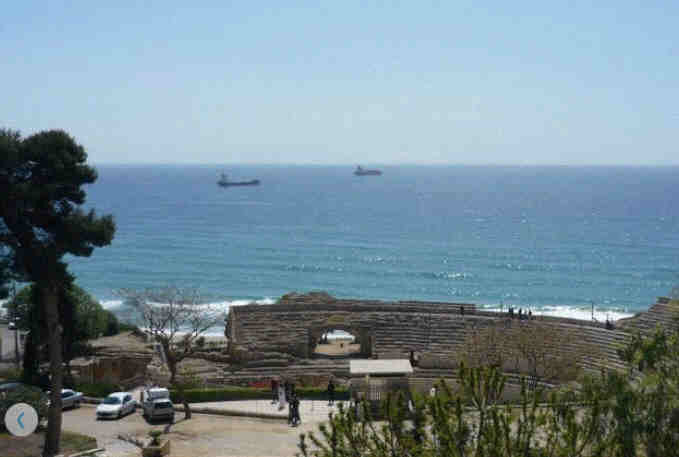 Set on Spains Costa Dorado, Tarragona was once a provincial Roman capital, under the reign of Augustus. Little remains of those glorious days except the ruins of an amphitheatre and other remnants of Roman occupation, but although these relics are worth seeing, most of Tarragona's visitors are more concerned with soaking up the sun and frolicking on the beaches. Roman Ruins Visitors can gaze on the Amfiteatre Roma and only imagine the blood lust and carnage of gladiators killing each other, to the cheers of the spectators. Museu I Necropolis Paleocristians Urns, tombs, and sarcophagi have been retrieved from this enormous early Christian burial site, and are displayed in the museum. Beaches The Platja del Miracle is the main beach where the crowd gathers to enjoy as much fun in the sun as possible. Nightlife Tarragona's nightlife only begins to warm up from 9:00 pm, and when the bars close at about 2:00 am, revellers head for the disco.